New York, N.Y. I first met Ambassador Sichan Siv in 2004 when I was invited to hear him speak at the imposing Women’s Republican National Club, just north of Rockefeller Center. What a speech! He spoke on surviving Pol Pot’s Killing Fields in Cambodia, then making his way to America where he earned a degree in International Relations at Columbia. He ended up working in the White House and then the United Nations. Others have graduated from Columbia’s prestigious business school, but few have done so after arriving at JFK with only $2, a scarf from their mother, and an empty sack for rice as their total life possessions. Ambassador Sichan Siv went on to become a U.S. Ambassador to the United Nations. There are fewer than ten speeches I have ever heard in my life that have stuck with me. His was one of them. Hearing a man recount how every member of his family – 15 in all, including his mother – were killed during genocide — that sticks in one’s mind for a long, long time. After the war, Sichan learned that his mother had gone up to the Khmer Rouge and said, ‘Why do you leave me alive? You have killed my daughter and my son already. Why don’t you kill me as well?” So they did. This man — who suffered so much, and yet went on to accomplish so much — impressed me greatly. I was delighted to be invited to his New York City home last week to meet with him and his lovely wife Martha. They now reside in Martha’s home state of Texas, but visit the East Coast regularly. 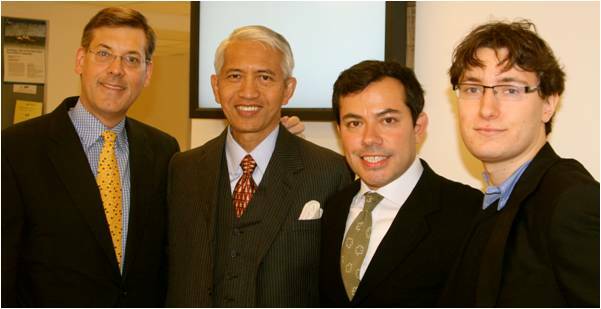 “An extraordinary Journey from hell in Cambodia to a new life in America.”A few days later, I heard the Ambassador speaking at Columbia Business School, at a symposium sponsored by my friends at Global China Connection, and wrote about that event last spring. Hon. 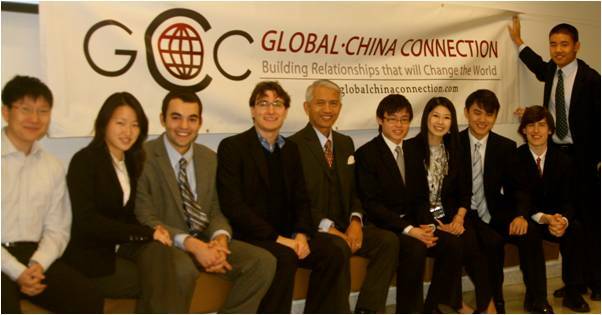 Sichan Siv with the leadership of Global China Connection at Columbia University.We have all seen the heart-breaking footage of the fall of Saigon with the last helicopter leaving the U.S. Embassy, leaving Vietnam. 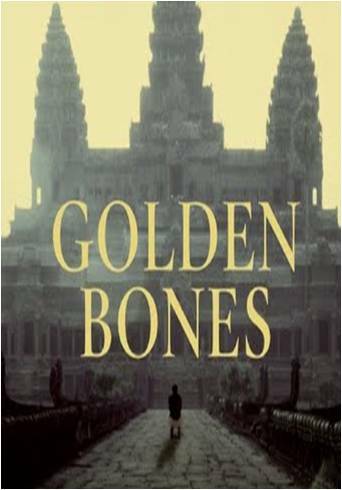 In 1975, the Khmer Rouge entered neighboring Cambodia’s capital, Phnom Penh. Once again, America evacuated key personnel and locals. Sichan had been selected for U.S. evacuation because he had helped manage the U.S. relief agency CARE. He had one hour to get to the embassy – but he did not make it. Thus began his dark brush with death that somehow led him to the corridors of power in Washington and New York. No one knows how many were executed by the Khmer Rouge — at least 200,000 by the lowest counts. 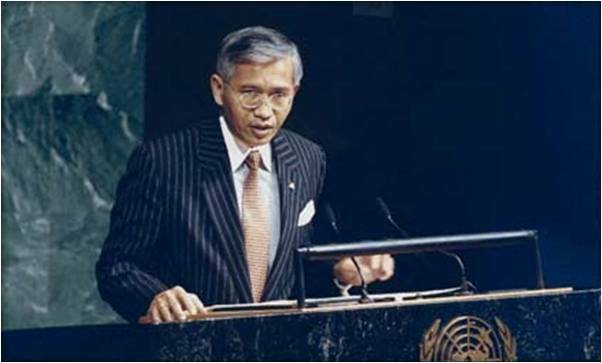 Estimates of the total number of deaths resulting from Khmer Rouge policies – including disease and starvation – range from 1.4 to 2.2 million out of a small population of around 7 million. Sichan should have been among them. To escape notice as a pariah “intellectual,” he had thrown away his glasses. None the less, he was immediately captured by the Khmer Rouge and placed in a labor camp. Ambassador Sichan Siv, a Buddhist, revisited Angkor Wat in 1992.Last spring he journeyed back, and in a poignant essay in the New York Times, “Last Breakfast in Cambodia,” wrote about his return. Cambodians, like most Theravada Buddhists, celebrate their New Year in mid-April. 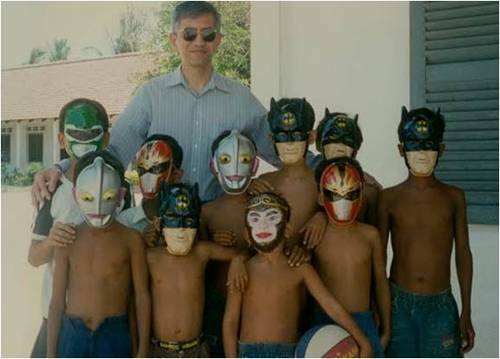 The Ambassador visiting orphaned Cambodian children playing with masks in Takeo.For a year he was imprisoned in a succession of slave-labor camps in Cambodia, toiling 18 hours a day, digging ditches, hoeing weeds, fixing roads. He would then stagger back to the huts, gag down a bowl of rancid soup, and fall into a nightmarish sleep. After a year he escaped to Thailand and became a Buddhist monk. His escape will one day be the subject of a Hollywood movie. Sichan arrived in Thailand, where he eventually made it via a refugee camp to New York’s JFK. His powerful book has all the riveting details, a must-read. There is also an incredible piece on the Ambassador’s life by Voice of America, in Mandarin. 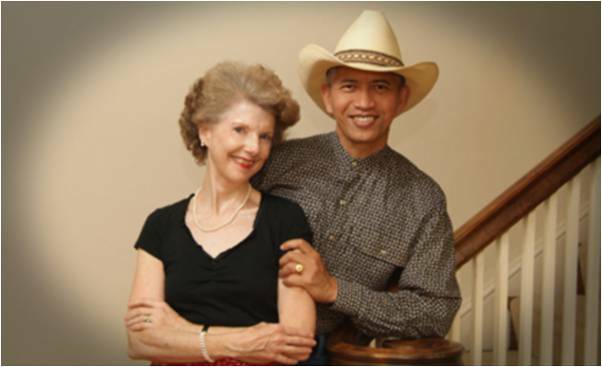 Sichan’s marriage to Martha Pattillo, a Presbyterian from Texas who had once worked for the U.N. in Bangkok, is the Buddhist Ambassador’s greatest blessing. They were married in the Lone Star State on Christmas Eve 1983. (The Cambodia Project), and Gavin Newton-Tanzer (Global China Connection).He never has. He continues to inspire young leaders across the U.S. and world, such as his friends Jean-Michel Tijerina, founder of The Cambodia Project, and Gavin Newton-Tanzer, founder of Global China Connection. Ambassador Sichan Siv is a thought leader on the miracle of Making It In America, and a global citizen with a deep understanding of human nature, learned during his unlikely journey from his Buddhist temple to the White House. He has never given up hope – which inspires my friends and me, and the entire world. Edited by Ethel Grodzins Romm. Originally published in The Huffington Post, December 10, 2009. Originally published in The Huffington Post, December 10, 2009.